Information Minister Fawad Chaudhry on Thursday announced that name of former president Asif Ali Zardari – accused in the multi-billion rupee fake accounts case – would be placed on the Exit Control List (ECL). The minister elaborated that the decision was taken during Thursday’s federal cabinet meeting and a total of 172 names will be added to the no-fly list. 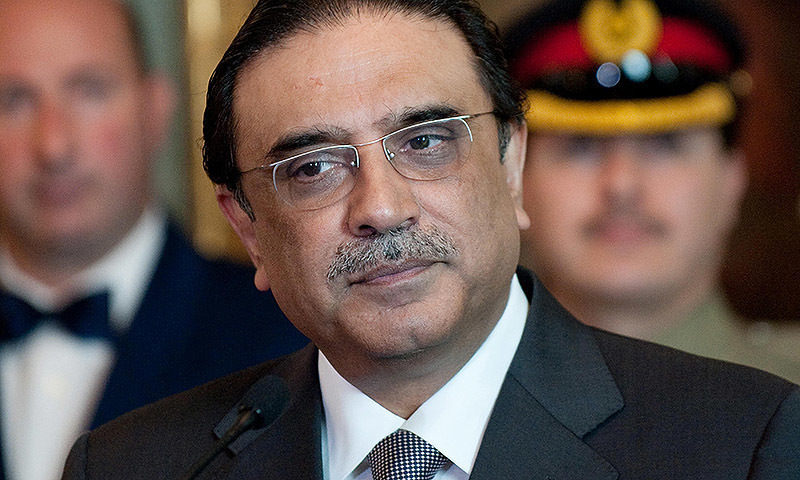 Zardari, his sister MNA Faryal Talpur, Omni Group’s Anwar Majeed and his son Abdul Ghani Majeed, former Pakistan Stock Exchange chairperson Hussain Lawai, Summit Bank Senior Vice-President Taha Raza are among those being investigated by the Federal Investigation Agency (FIA) for alleged money laundering through at least 29 fake accounts. Referring to the recently submitted joint investigation team (JIT) report, the information minister added government means were used to launder the money. “People will take the accountability process seriously and the process will continue,” said Fawad while addressing a news conference following the conclusion of the weekly cabinet meeting. Alluding to the recent murder of former lawmaker Ali Raza Abidi in Karachi, the information minister said certain elements are trying to disrupt the peace achieved in the financial capital of the country. The information minister further said that the activities of “the South African gang are increasing in Karachi”. Fawad also referred to the CCTV cameras installed in the port city and said their procurement will be probed. “The CCTV cameras installed in Karachi are substandard,” said the minister while lamenting that a large amount was spent on the procurement and installation. Speaking of the incorporation of the areas formerly known as FATA into Khyber-Pakhtunkhwa, Chaudhry said all basic necessities will be provided to the people of the region and the government is committed to bringing the tribal areas into the mainstream. They have rendered exemplary services in the war against terror, he added. Chaudhry also said reserved seats for women in the national assembly and senate will be increased.